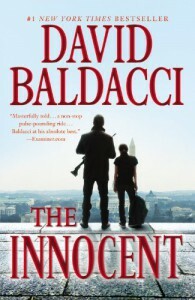 I really liked this book--and I read cautiously after the last Baldacci (True Blue) was such a horrendous flop for me. I think I've discovered that his writing style just doesn't *quite* work for me. Sadly, I see this with quite a few male writers a lot (it's a preference thing; not a judgement thing), and it's hard to put into words why. Maybe it's party a writer thing--very hard to turn off the editor to read which is one of the reasons I"m so picky about what I read and my internal editor and Baldacci didn't quite mesh.